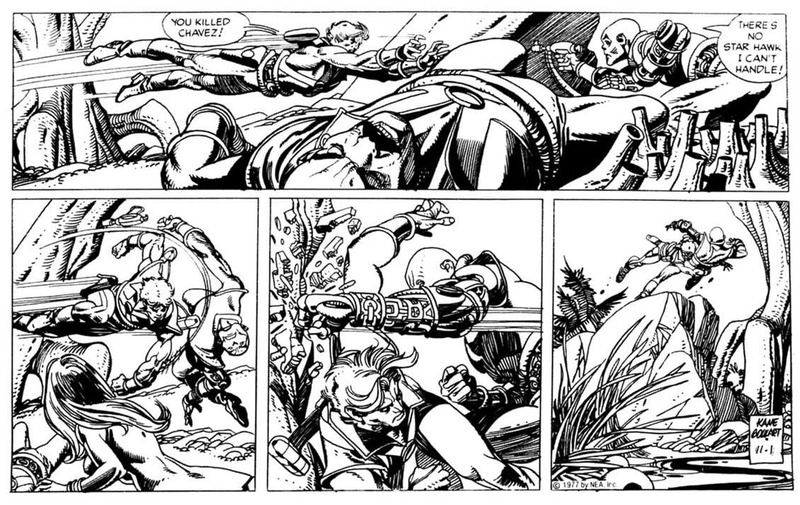 Gil Kane's finest hour? 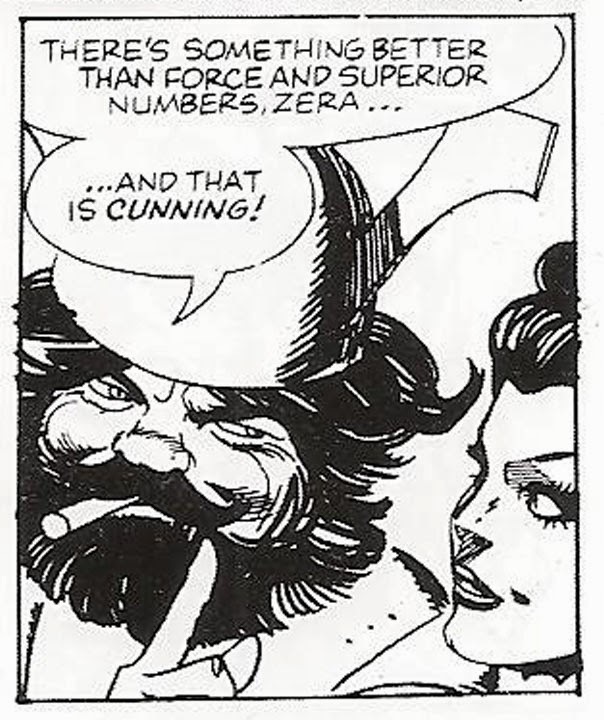 I think I'm saying so. 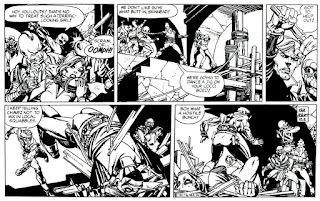 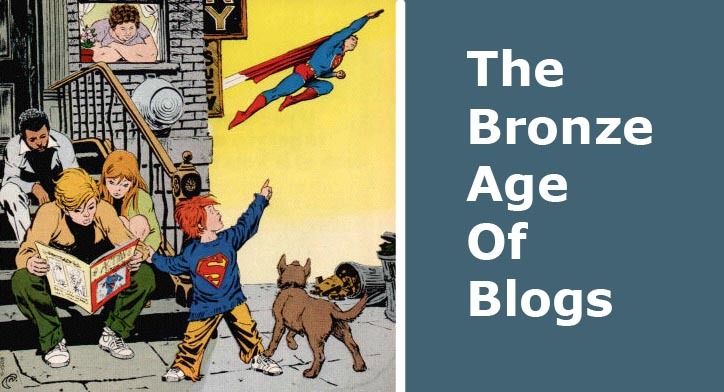 Like most comic book artists of his generation, Gil really wanted to be working in the field of newspaper adventure strips, like his heroes Milton Caniff or Hal Foster. In 1977, he finally got his shot, and grabbed it with both hands. 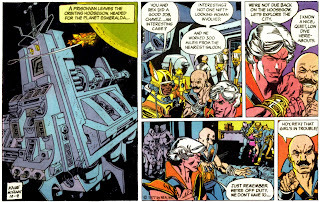 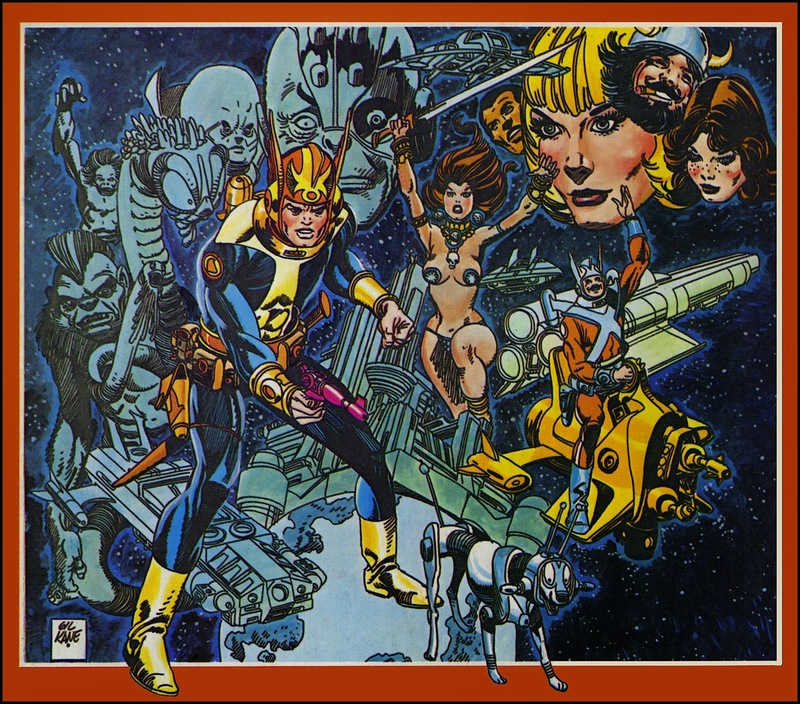 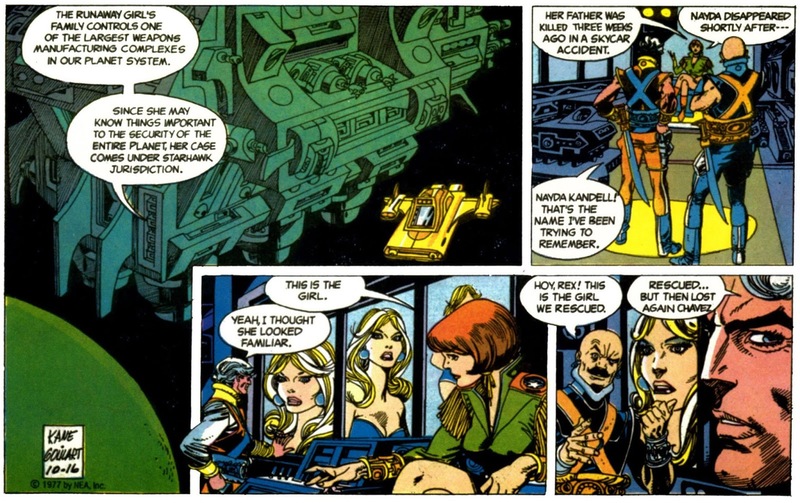 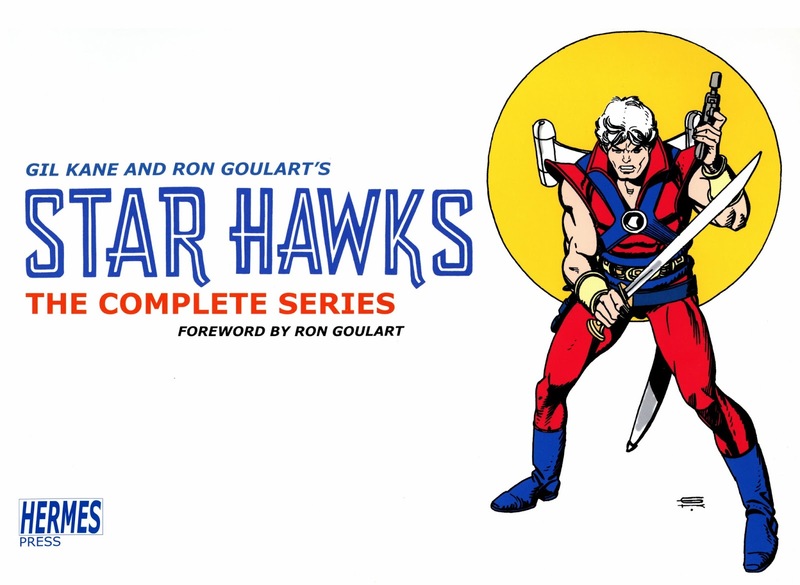 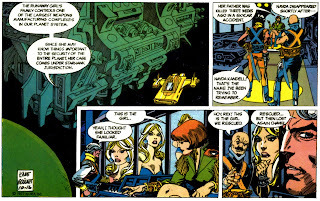 Star Hawks was a light hearted space opera, written by sci-fi writer Ron Goulart, and it played to all of Gil's considerable strengths. 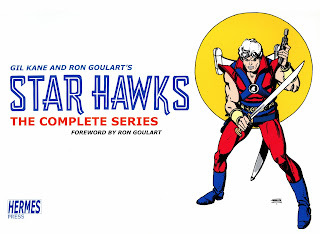 Swashbuckling, square-jawed Rex Jaxan and his bald headed sidekick Chavez are the Star Hawks, interplanetary peace keepers who you feel are only really space cops because it gives them carte blance to run around the galaxy having adventures. 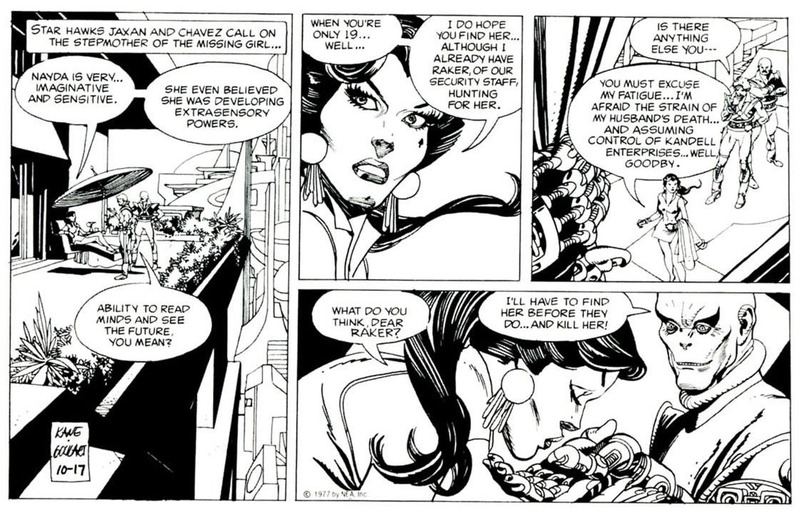 Chavez's only motivation in life, for instance, seems to be getting into fights and meeting 'nifty looking ladies', as he never tires of reminding us. 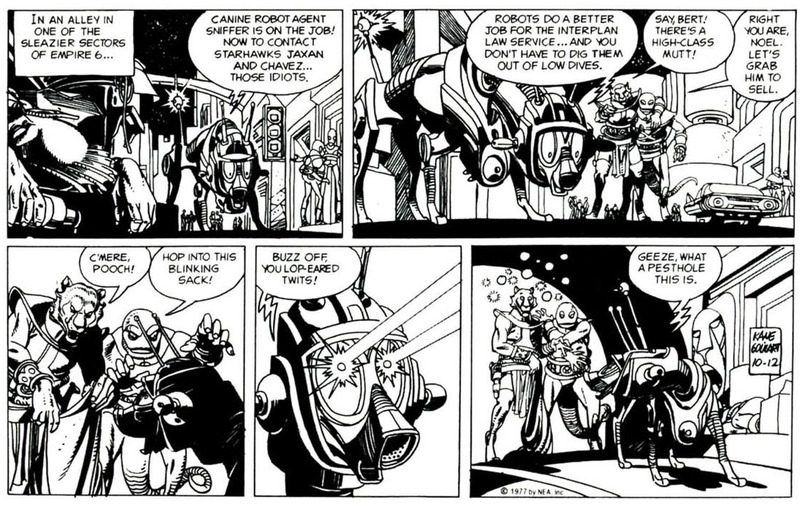 So, very little characterization, but then that's generally the case in syndicated adventure strips, anyway. 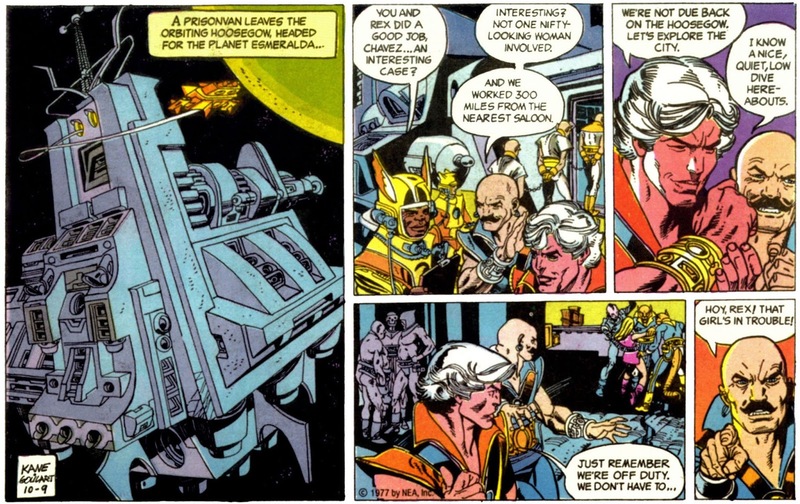 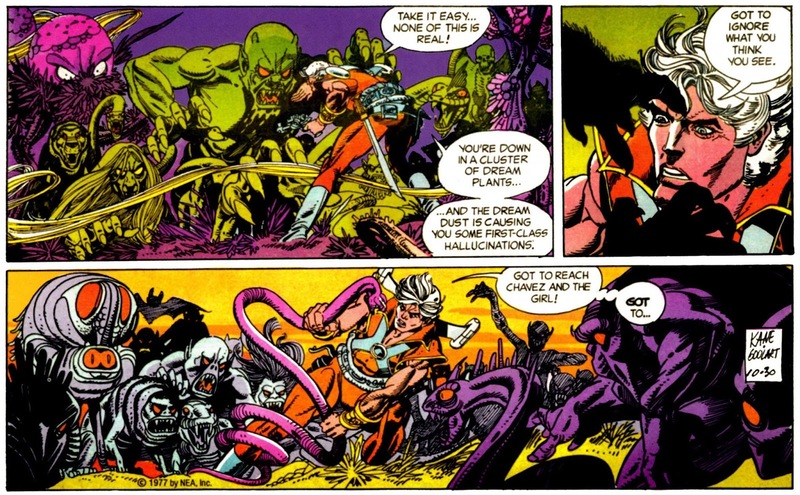 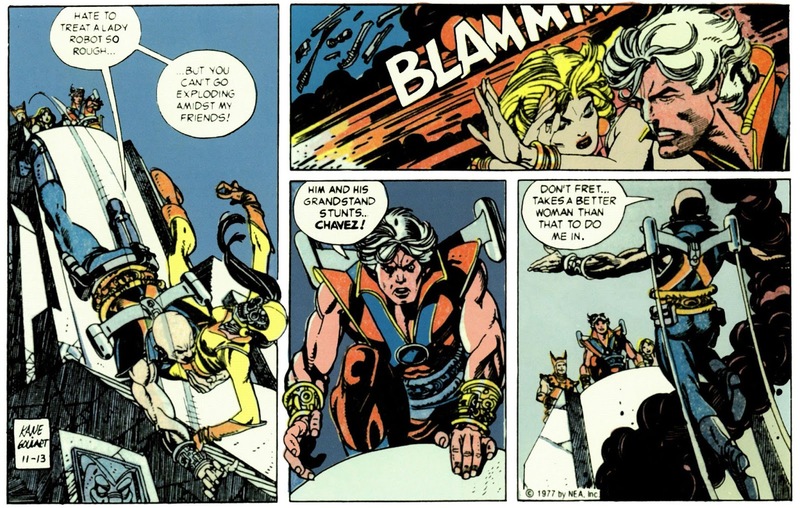 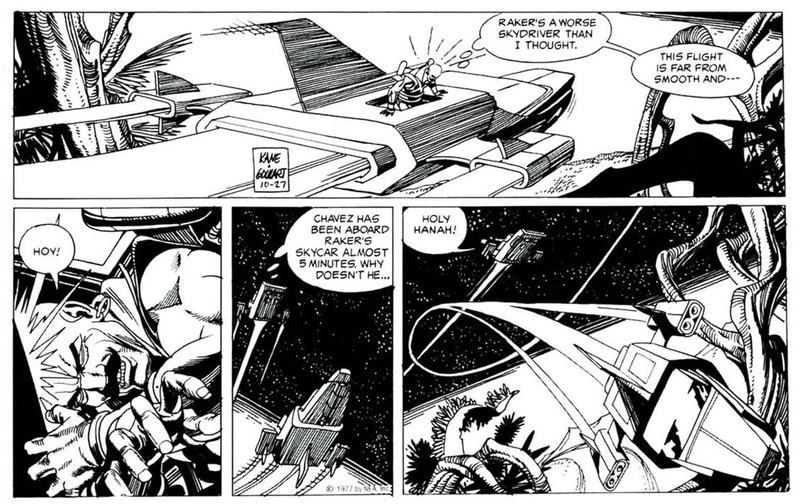 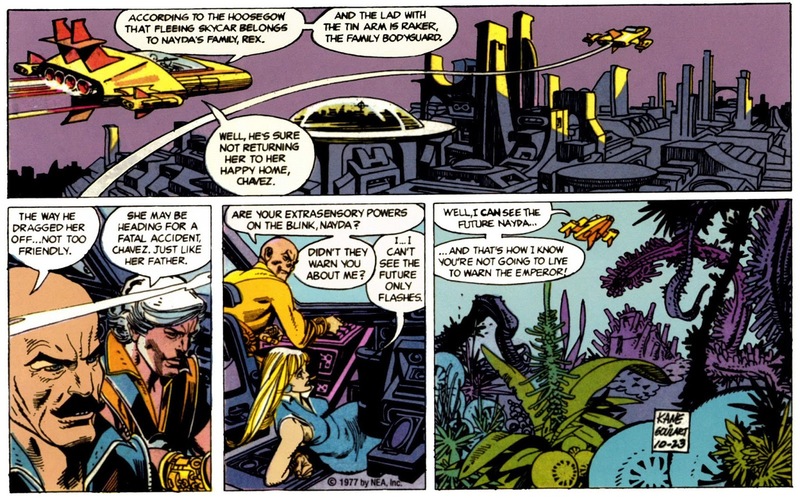 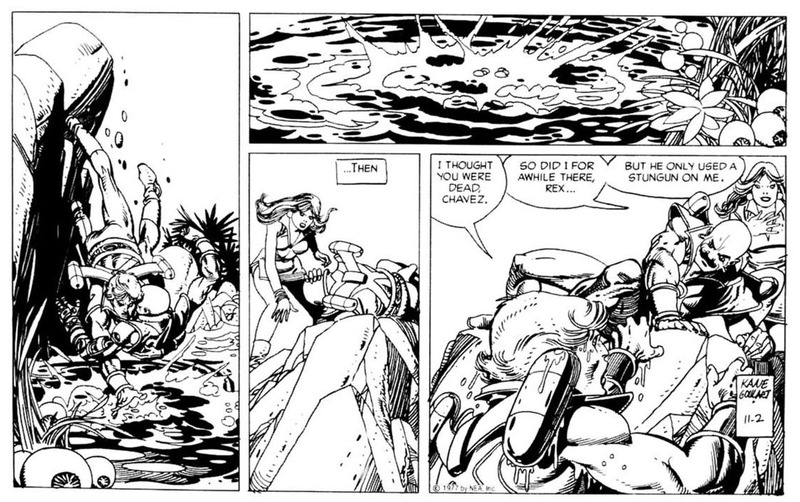 We're here for Gil, and he's having the time of his life throughout this strip's run, revelling in every outlandish spaceship, edge -of-the-seat fight scene and lost, danger filled planet. 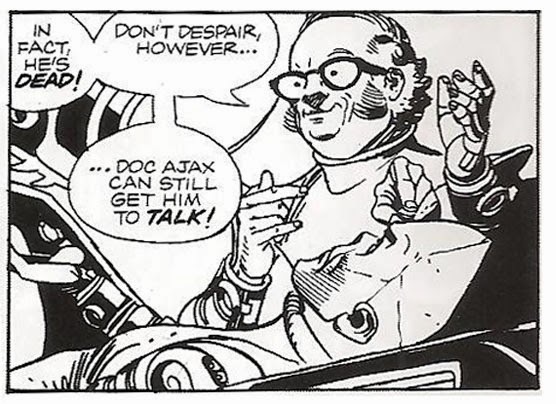 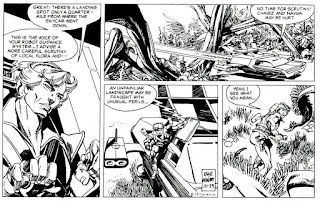 I'm bound to say I find the later strips, when Archie Goodwin comes on board for the writing, more successful than Goulart's stories, as it's sometimes obvious that he's not as skilled as Archie at working within the comics medium, and Goodwin is much better at characterization. But that's a minor quibble, as this is a strip where everyone involved, as well as everyone actually in the strip, is having an absolute blast. 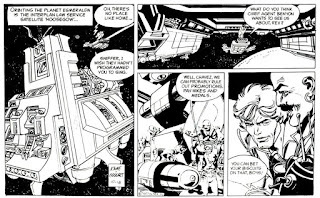 Presumably in order to get the whole series into one book, the strips are reproduced progressively smaller and smaller as you go through the pages, and as an object, it's a cumbersome, softcover thing that's physically difficult to hold and read comfortably. 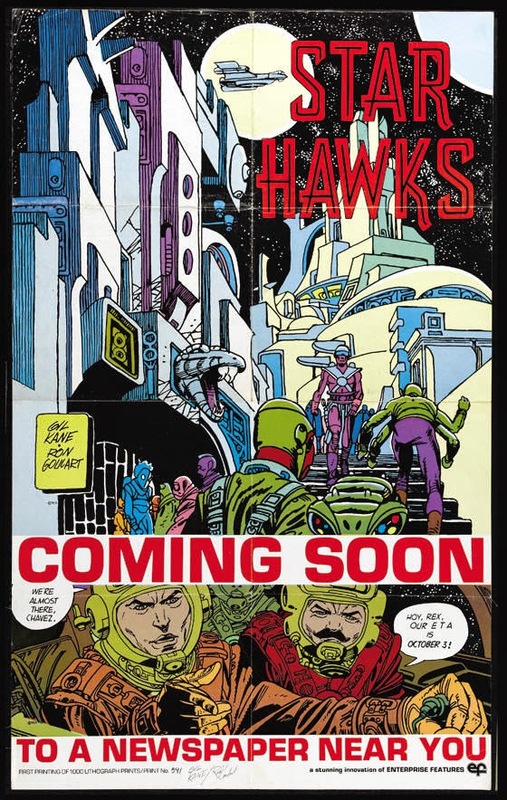 Two volumes in hardcover would've been preferable, but as Hermes seems to be basically a one-man operation, you have to accept costs had to be kept down, and you have to give the guy major credit for putting this stuff back in print, and with such good scans. 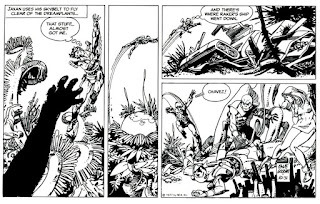 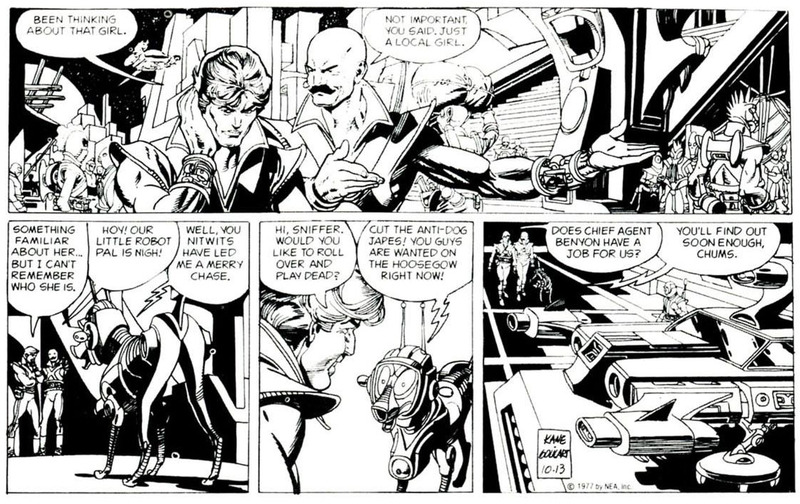 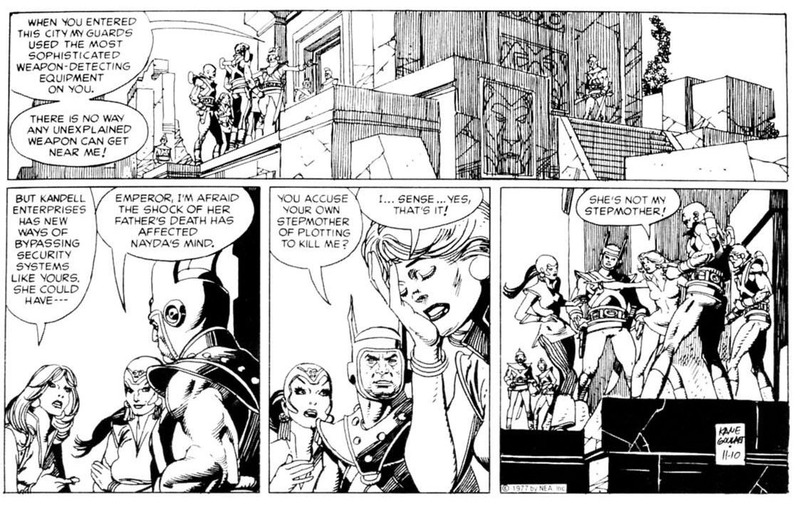 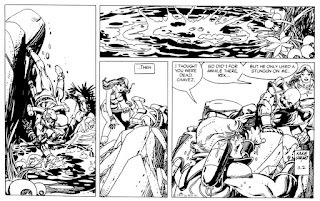 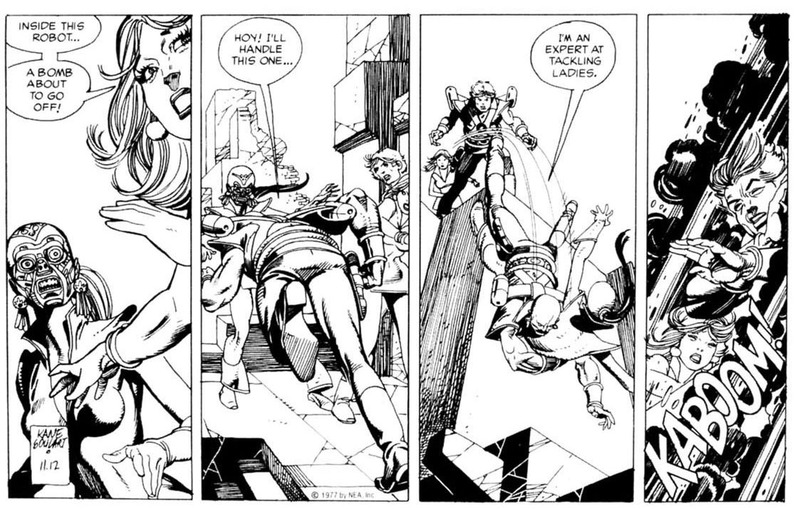 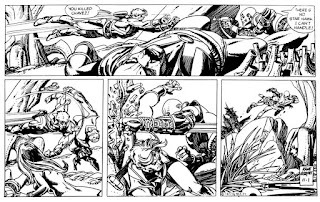 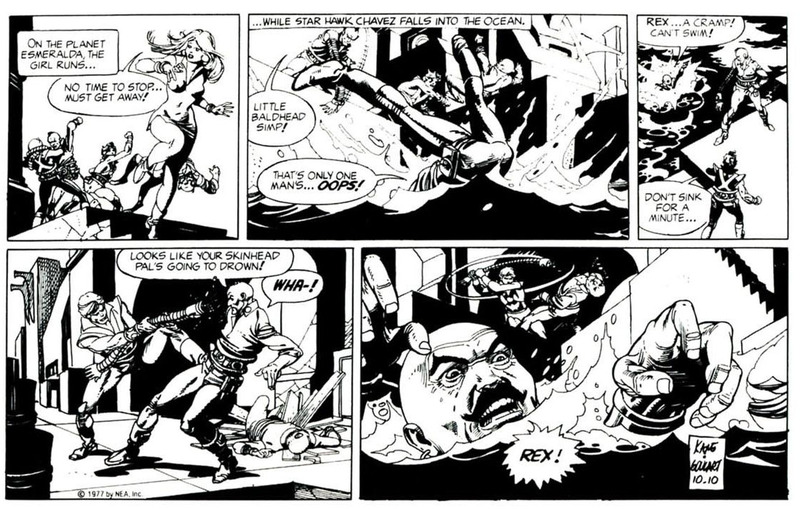 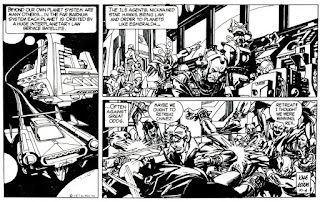 It is currently the only way to get this fantastic strip all in one place, and is, as you'll see, Gil Kane at his absolute finest. 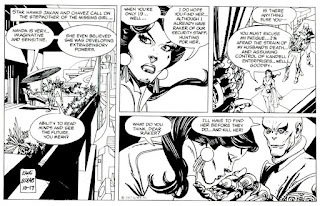 Here's the first story. 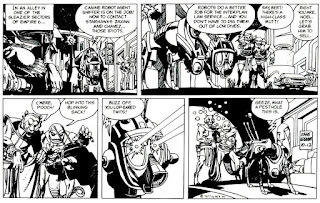 Hoy! Couldn't agree more, Edo, the trade doesn't work at all in those areas, but again, I really don't want to slag off Daniel Hermann. 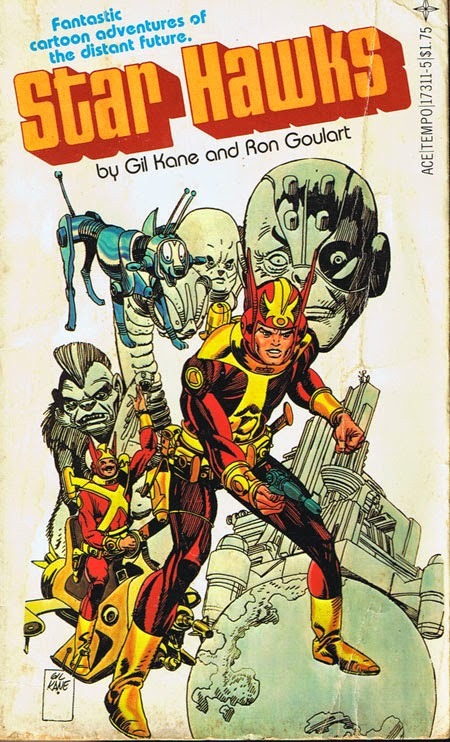 He obviously did the best job he could, and his other two books about Gil are equally great. 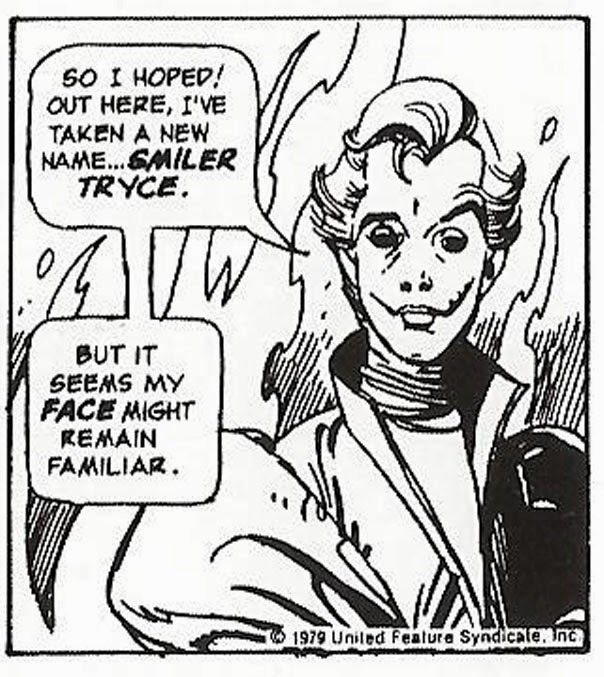 And you MUST read the Smiler Tryce stories... or I'll just post 'em. 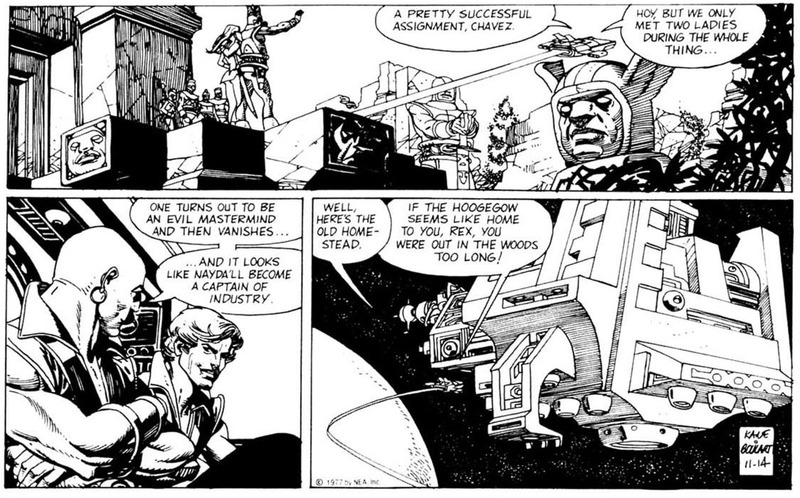 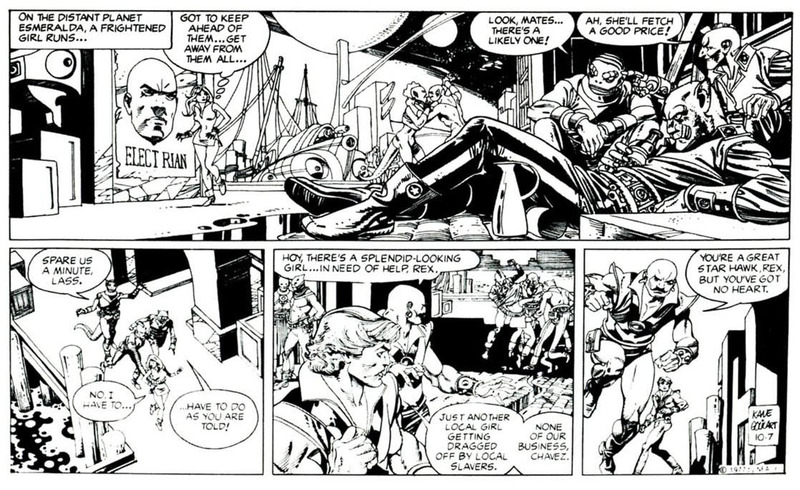 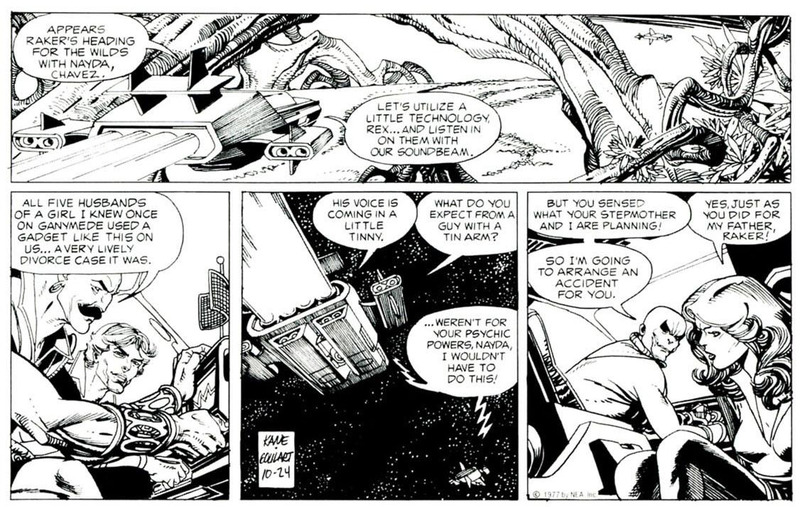 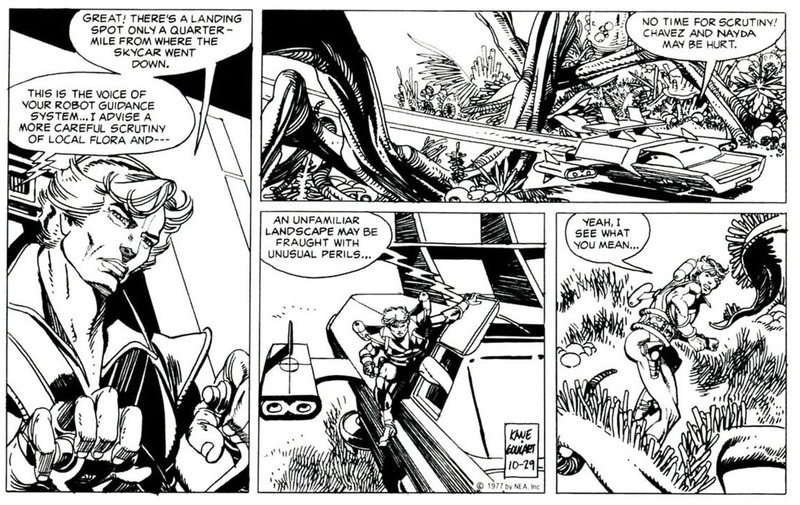 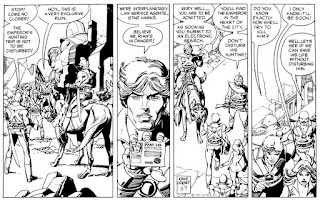 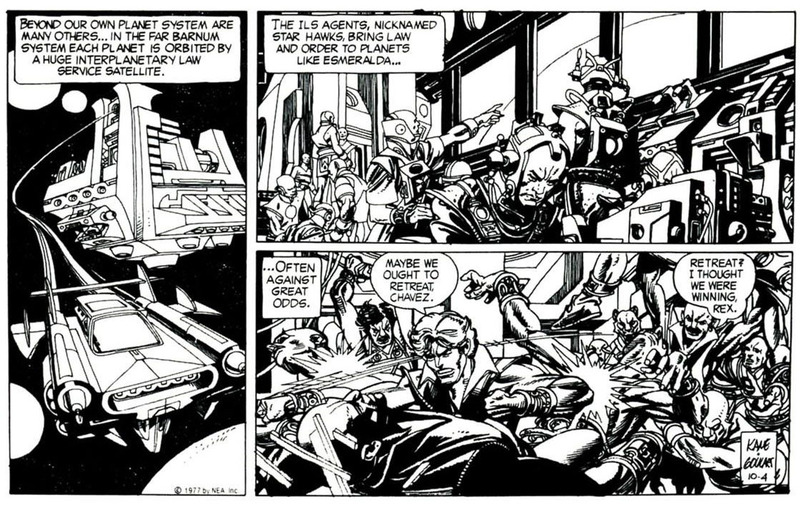 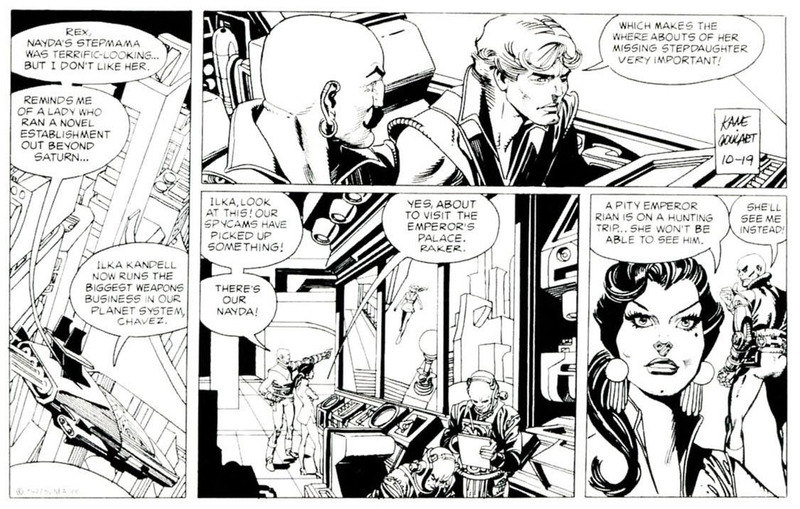 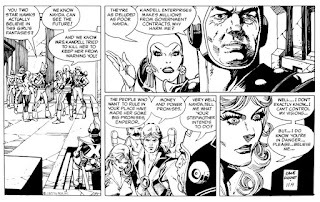 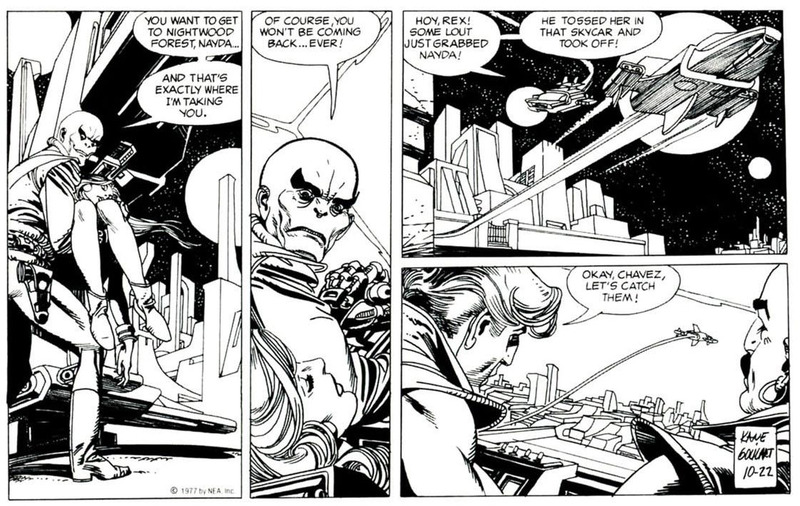 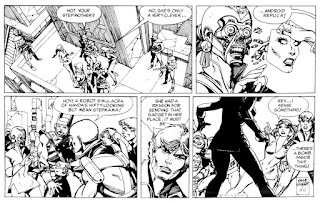 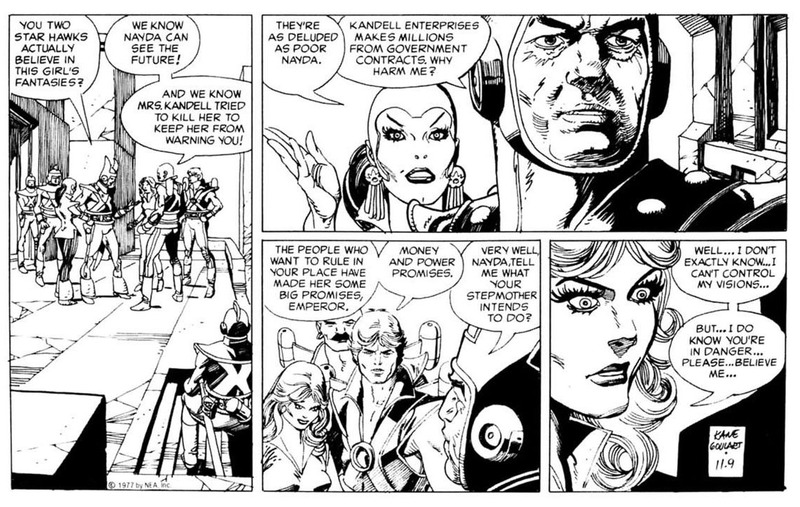 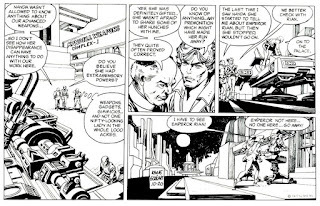 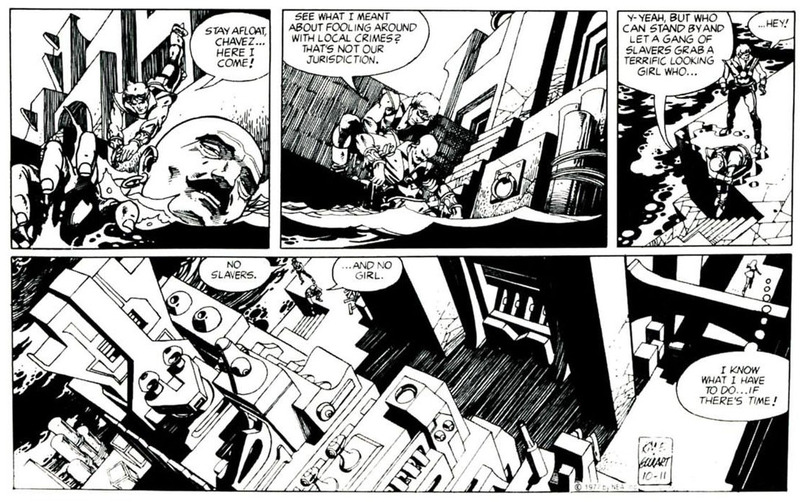 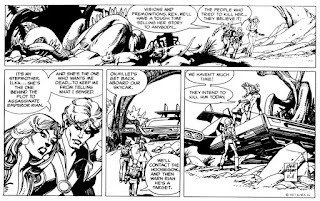 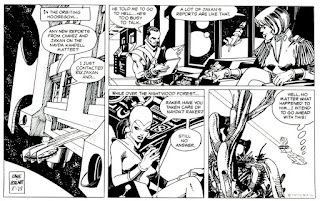 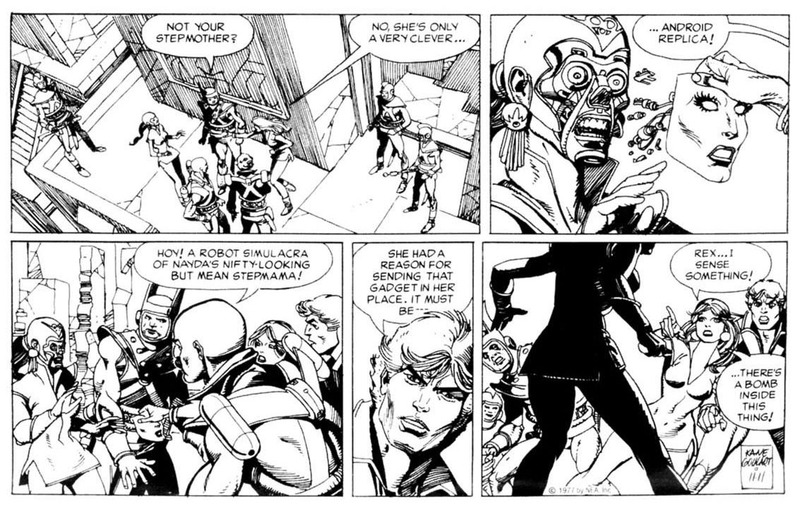 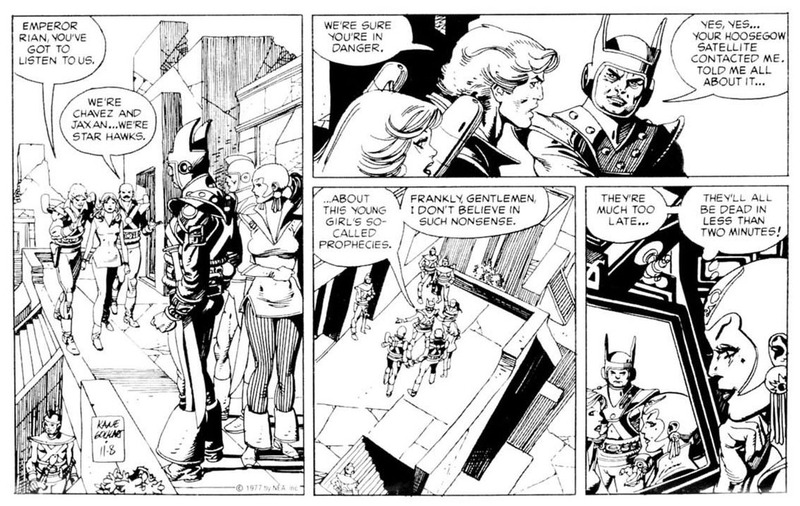 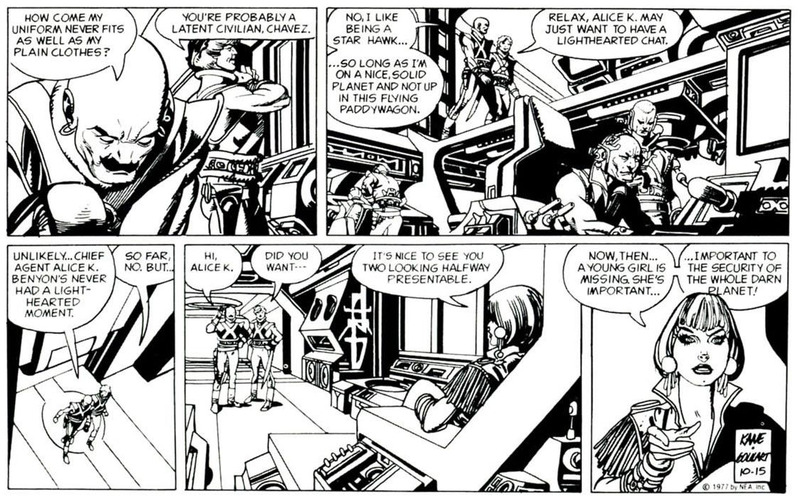 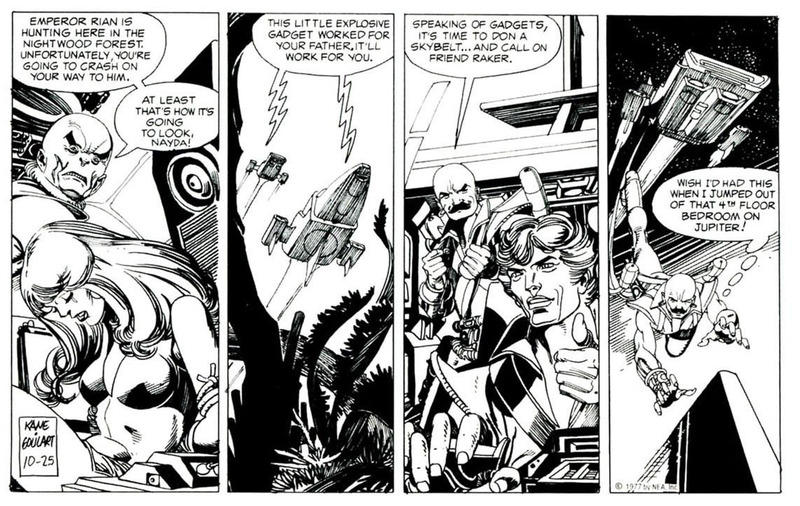 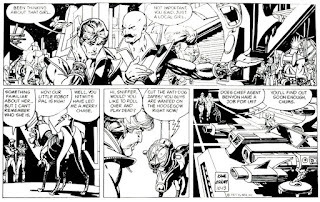 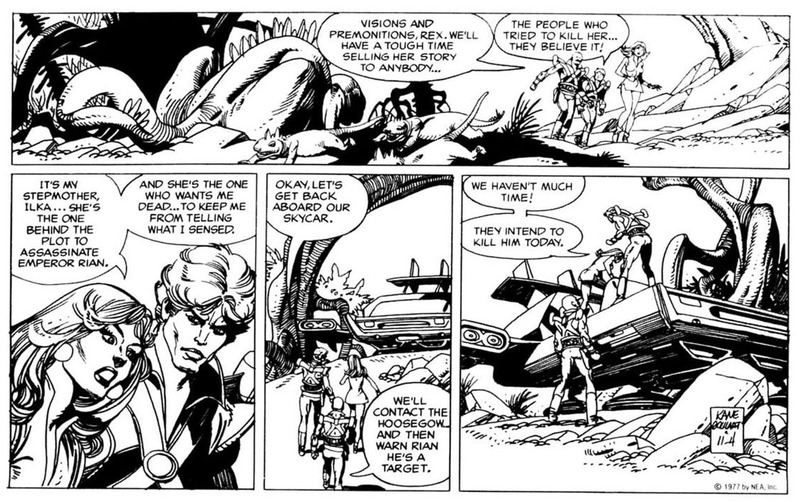 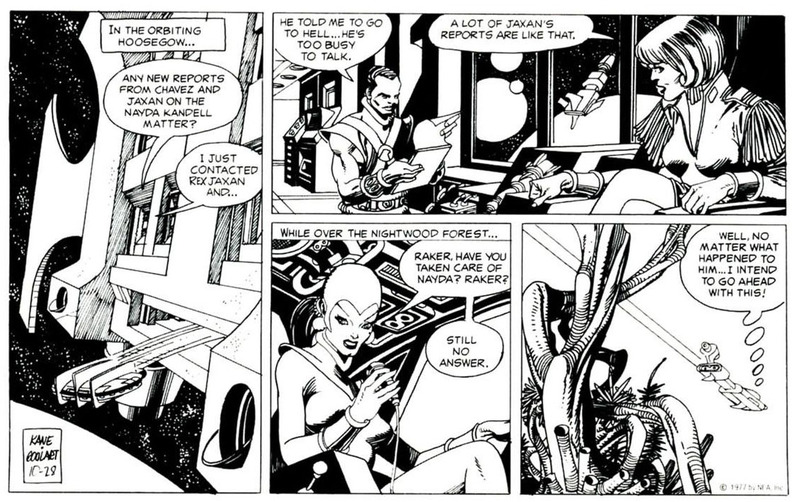 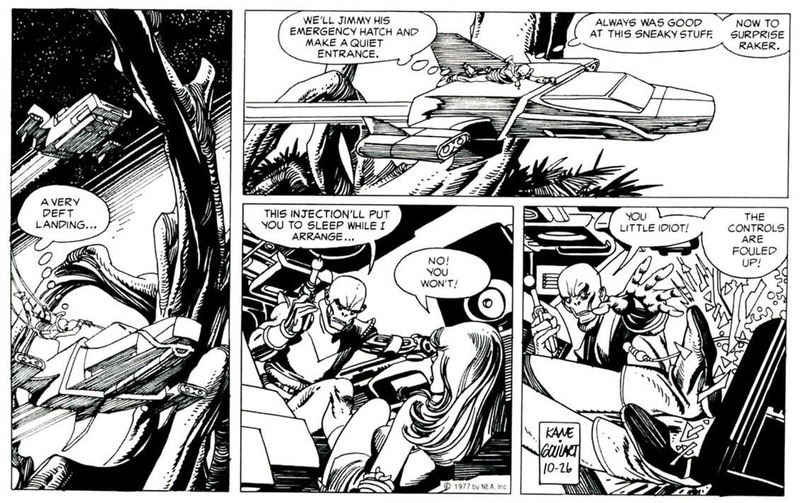 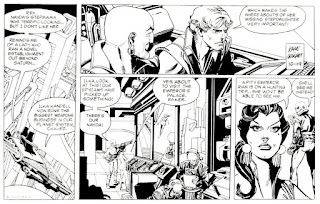 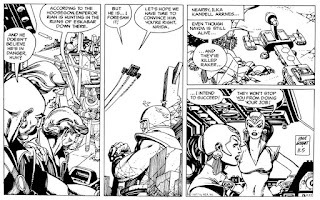 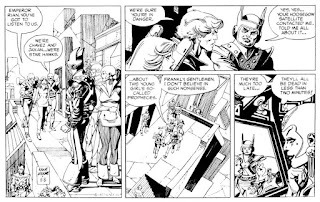 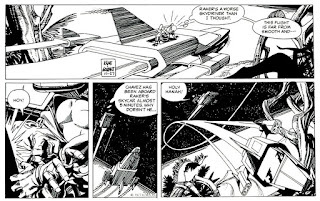 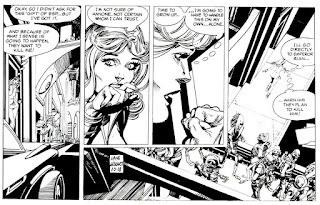 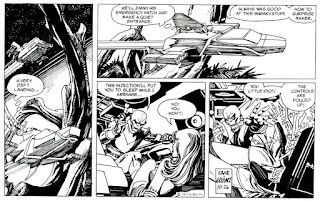 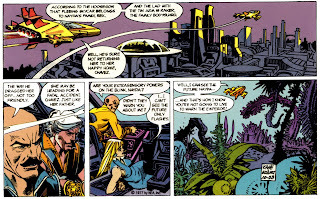 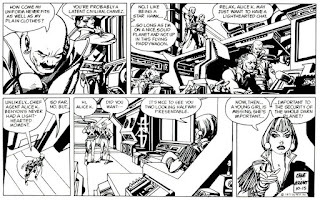 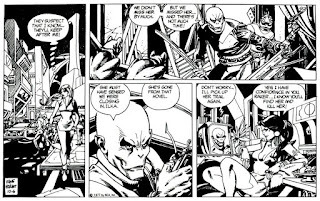 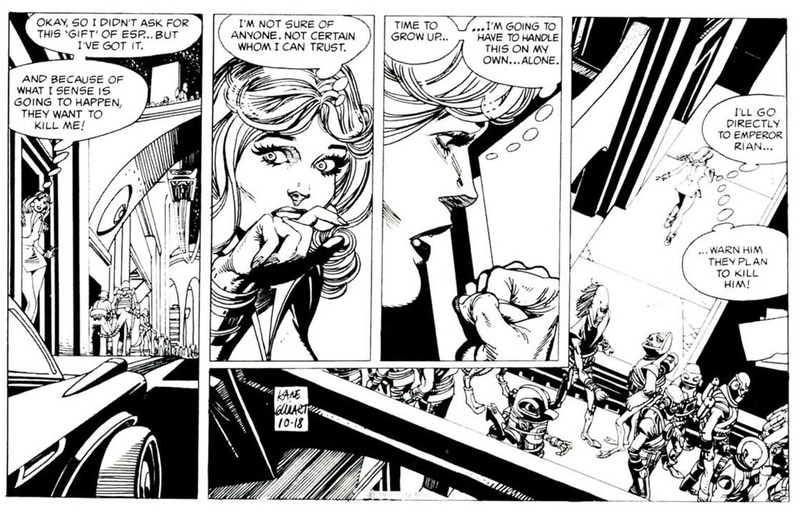 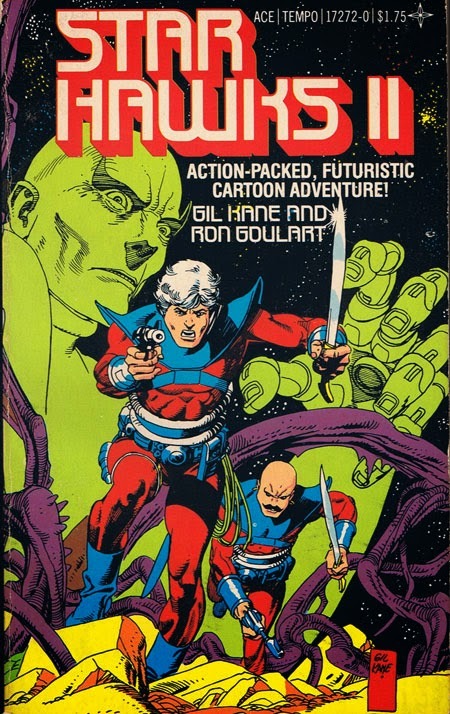 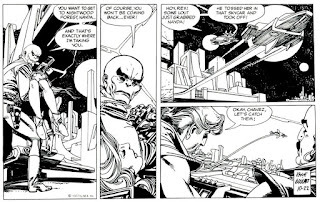 I'm one of those "never liked Kane as a youngster but dig his work now" types, but I've never been keen on his inking his own pencils...reckon this is one strip where Al Williamson would have made an ideal inker.